The Songs of Freedom mobile app is now available for iPad and iPhone! 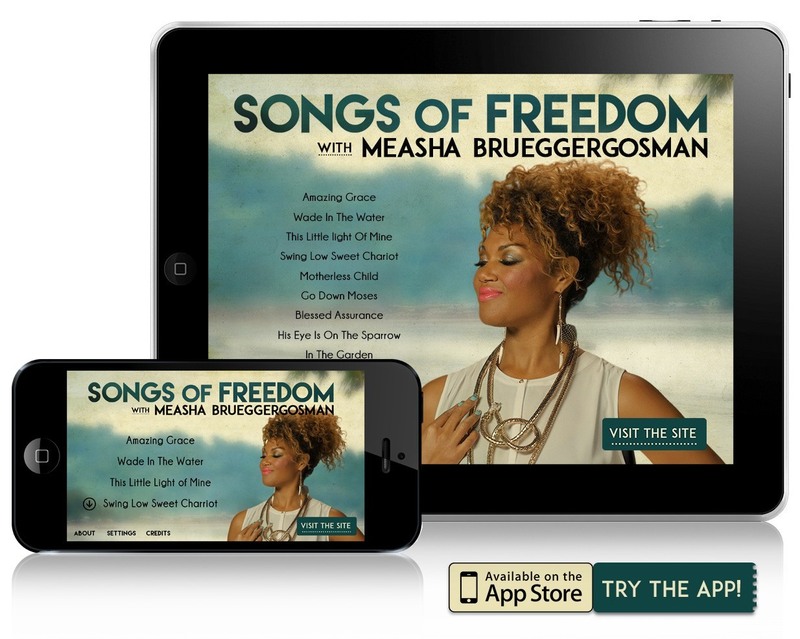 It includes ten freedom songs as featured in the TV documentary series, each introduced by Measha personally and exclusively for the app. Click here to download the app. Four of the songs have been recorded using special 360 degree video technology, offering an intimate, full spherical view of the performances. By simply moving the device around, or swiping your finger, you can choose your own perspective and watch Measha perform as if you were there! For iPhone users, we have a special Virtual Reality (VR) mode that allows you to watch the 360 videos in Virtual Reality. Simply insert your iPhone 5 or 6 into a VR holder such as Google Cardboard, and watch the scenes unfold around you, as if you were there!